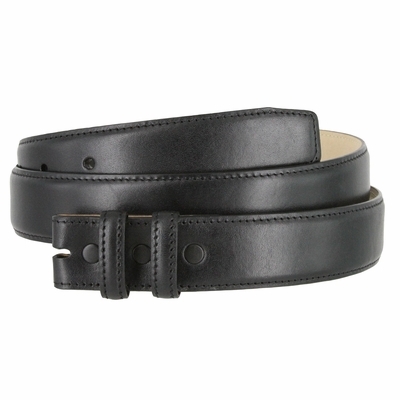 1-1/4"(32 MM) wide Genuine Smooth Calfskin Leather Belt Strap, includes 2 matching leather loops. Made with snaps for interchangeable buckles: Just snap off and snap on. The strap has 7 adjustment holes each of them 1" apart.